I've just heard that President Bill Clinton has turned vegan. This simple, tasty recipe is for you, Bill. 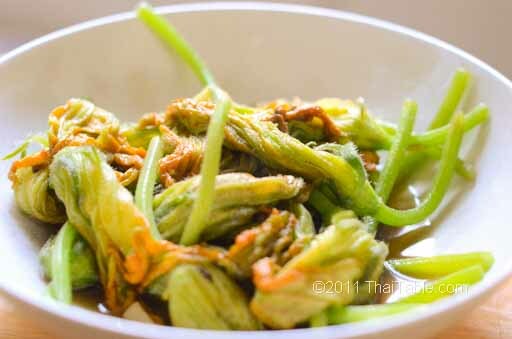 Stir fried squash blossoms is one easy recipe to make: if you have garlic and squash blossoms, you’ve got one dish for your meal. In the height of the summer, you can find squash blossoms at farmers’ markets. 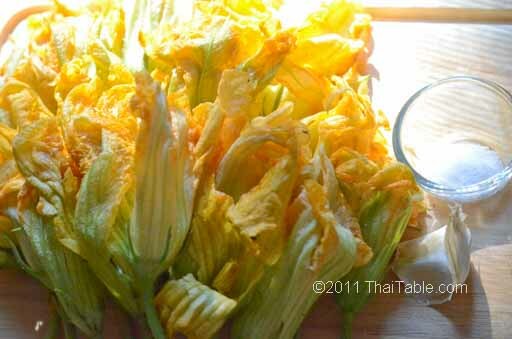 I have been making stir fried squash blossoms for a few weeks now. There is something intriguing about eating such beautiful flowers. My mother used to grow squash. We would have tons of the male flowers (the ones that would not turn into squash) and she would make this simple dish for us. As with any vegetable stir fry, when you stir fry squash blossoms, you want a hot pan and a short cooking time to keep them crunchy and flavorful. 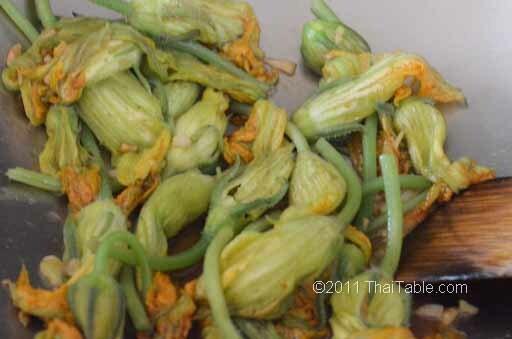 Clean squash blossoms with water gently. Drain the water from the blossoms very well. 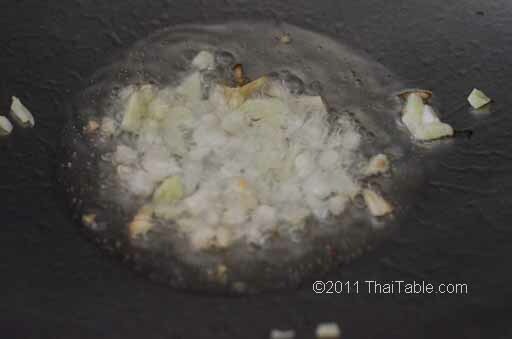 You may need to pat them dry; water will rob your pan of heat and make the dish watery. Chop 1-2 cloves of garlic, depending on how much you like garlic. Heat up the pan until it is extremely hot. Add a tablespoon of cooking oil in the hot pan. If the oil starts to smoke, put the garlic in. When it starts to turn light brown, add the blossoms. Stir to coat the blossoms with hot oil. When the flowers start to shrink sprinkle the salt. Stir it around to cook it a little more then get it out quickly. Serve hot with rice.